Radical and uncompromising, Umbrella is a tour de force from one of England's most acclaimed contemporary writers, and Self's most ambitious novel to date. Moving between Edwardian London and a suburban mental hospital in 1971, Umbrella exposes the twentieth century's technological searchlight as refracted through the dark glass of a long term mental institution. While making his first tours of the hospital at which he has just begun working, maverick psychiatrist Zachary Busner notices that many of the patients exhibit a strange physical tic: rapid, precise movements that they repeat over and over. One of these patients is Audrey Dearth, an elderly woman born in the slums of West London in 1890. Audrey's memories of a bygone Edwardian London, her lovers, involvement with early feminist and socialist movements, and, in particular, her time working in an umbrella shop, alternate with Busner's attempts to treat her condition and bring light to her clouded world. Busner's investigations into Audrey's illness lead to discoveries about her family that are shocking and tragic. 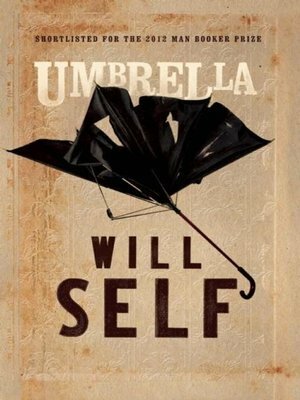 Will Self is the author of six short-story collections, a book of novellas, eight novels, and six collections of journalism. He lives in London.